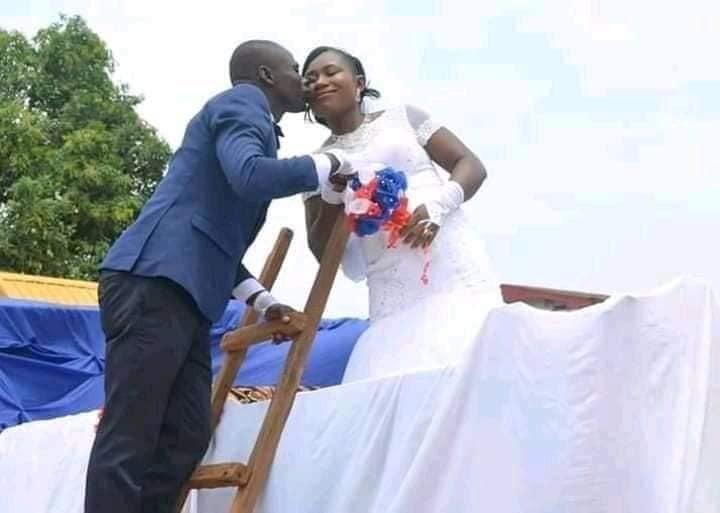 This lovely couple have been making the rounds online and the reason is obvious. 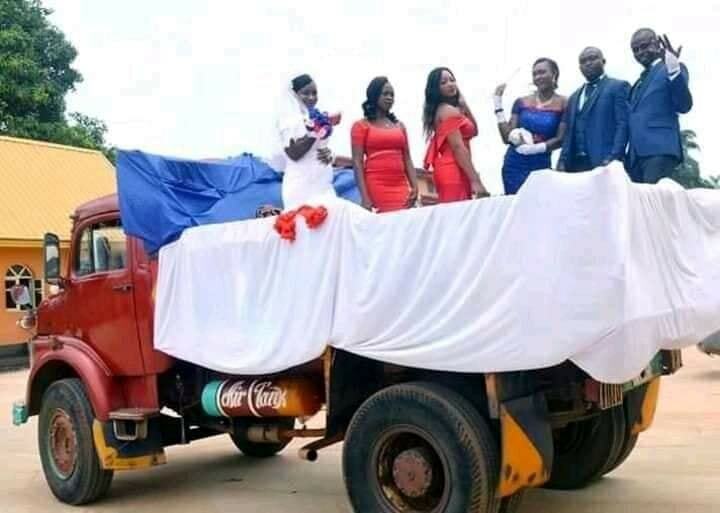 The Nigerian couple decided to use a tipper for their wedding ceremony due to reasons best known to them. According to Facebook user Ini Frank, the couple recently tied the knot in one of the communities in Akwa Ibom state and the event was graced by family and friends. Congratulations to them. Last year, a couple went viral on social media after they used a tipper to wed in Abia State. The groom, his bride and bridal maids could be seen on top of the tipper as friends and family members tried to take photos and videos of them.